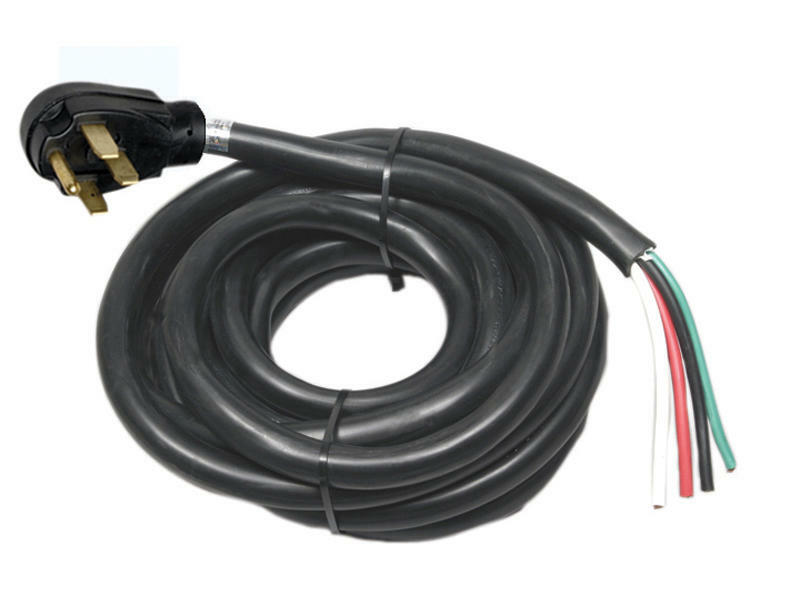 Increases the length of your existing RV's power cord by 25 feet. Four prong male end plugs into a 50-amp (RV campsite) and has a 4-wire stripped end that is compatible with all brands of RV plugs. Wire gauge - Black, White and Red are 6 and Green is 8.